Jad McGregor Appointed President of ABEX - ABEX Affiliated Brokers Exchange Inc.
Jim McGregor, CEO and Chairman of ABEX Affiliated Brokers Exchange Inc., is pleased to announce the appointment of Jad McGregor as President. 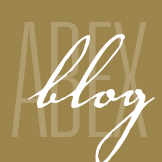 Mr. Jad McGregor joined ABEX in 2006 where most recently he held the position of VP Business Development. Prior to joining the company, his experience includes several years with an insurance company and working in the London market at Lloyd’s. Mr. McGregor holds his HBSc from University of Guelph, as well as Chartered Insurance Professional and Certified Risk Manager designations. In his new role Mr. McGregor will provide strategic leadership and executive oversight for the company. Mr. McGregor’s extensive knowledge and wealth of experience from his previous leadership roles will allow him to shape new opportunities and drive success for the organization.